Cleaning all types of offices and commercial facilities in Manasota and surrounding areas. Jantize is employee owned. That means we’re just around the corner when you need us and, as a part of our community, we care about your business. 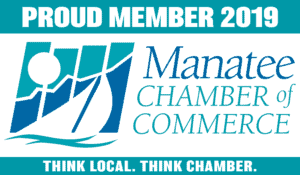 If you need office or commercial cleaning, Jantize Manasota should be your go-to cleaning service. Professional, quality cleaning done right! I highly recommend utilizing their cleaning services for your business. Brian Panico is the Jantize America Area Developer for Manatee and Sarasota counties. He moved to Bradenton in 2004. He was attracted to the area 15 years ago because of its rural charm and growth potential. It’s been a great place to live and raise his son and he has loved being a part of the community ever since. Brian is a military veteran of Operation Desert Storm and a 25 year Information Technology Executive. 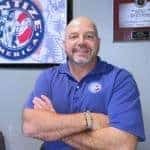 Being a part of the Jantize America Development Program has given Brian the opportunity to build and support small businesses throughout Bradenton, Sarasota and the surrounding towns. He is fully invested with his hard work, capital and reputation into the expansion for the company because of his desire to help small business owners succeed. In his free time Brian enjoys golfing, fishing and boating with his family and coaching his son’s football.